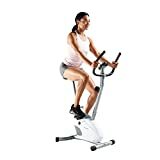 The upright exercise bike is a great alternative to a treadmill which can place undue stress on the knee and hip joints, and also the popular elliptical trainer. An upright bike can give you the exertion you need whilst providing a more comfortable and compact option for your home gym. In this article, we will take a look at the top 10 upright exercise machines available on the market, and their pros and cons. So that you can choose the best one for your needs. Sold on amazon, the Sunny Health & Fitness Belt Drive Indoor Cycling Bike works as well as you’d imagine. With adjustable resistance, 49 pound flywheel and quiet usage, this bike also comes with wheels which allow you to move it with ease. Customers have stated that the bike is rigid and is as quiet as it makes out to be. There have been some comments about the seat being uncomfortable, but all in all, the bike seems worth the money. 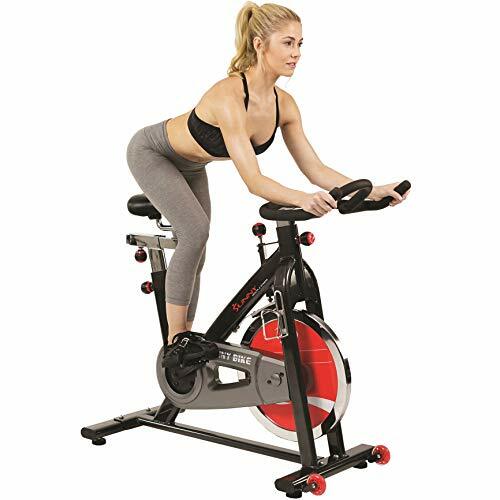 Overall, the Sunny Health & Fitness Belt Drive Indoor Cycling Bike is a great bike, which is ideal for those who want to take their fitness to the next level. 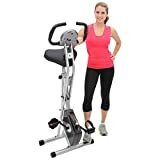 The Exerpeutic Folding Magnetic Upright Bike is a good overall bike that has a heart rate monitor, magnetic tension control and an easily adjustable seat. Many customers seem pleasantly surprised at how this bike works. The solid build and the level of resistance have proven to be very popular with those who buy the bike. The Exerpeutic Folding Magnetic Upright Bike is a good bike that seems to give great value for money. If you’re not looking for anything fancy, but you want a reliable bike, then this may be the one for you. With its smooth black finish and synchronized arm and leg options, the Schwinn Airdyne AD2 Upright Exercise Bike looks quite impressive. 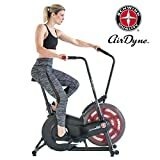 Available on amazon.com, this exercise bike is one of the more expensive models. The progressive resistance means you can continually challenge yourself, and the LCD console comes with a range of features. Customers seem quite happy with the bike, although some say the seat is pretty uncomfortable. For the most part however, it comes highly recommended by those who purchase it. 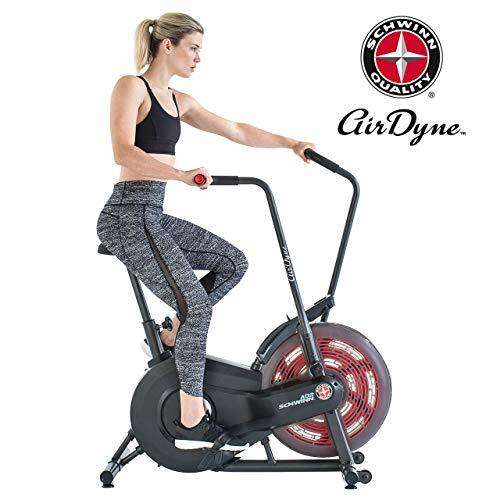 The Schwinn Airdyne AD2 Upright Exercise Bike is a good all-round exercise bike that has some impressive features, however, they are available in some cheaper models. If you’re willing to pay the extra money however, you could find that it’s well worth the cost. 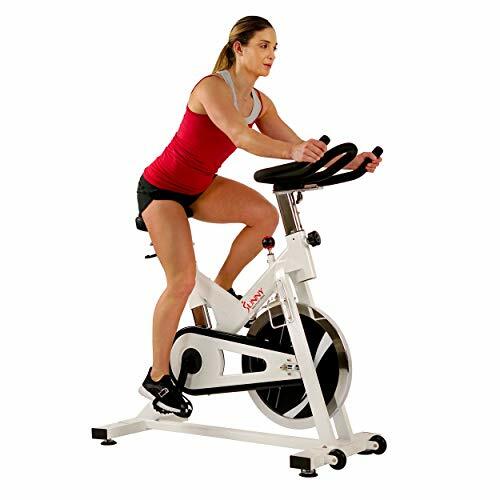 The Sunny Health & Fitness SF-B1110 Indoor Cycling Bike is a professional-looking bike that comes with some impressive features. Sold on amazon.com, this bike is more expensive than many others, but the price is high for a reason. With its 44 pound flywheel and heavy duty frame, this indoor bike means business. Very quiet, and with an adjustable handlebar, this bike is one that serious cyclists need to consider buying. When it comes to using this bike, customers seem to be very happy with the quality of the build. Some have stated that the padding on the seat is somewhat uncomfortable, and they’ve had to return it. Easy to assemble and very quiet when being used, most customers are thrilled that they were able to purchase the bike. 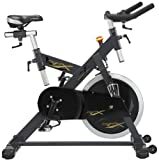 The Sunny Health & Fitness SF-B1110 Indoor Cycling Bike is a good quality bike with a price that reflects it. If you’re looking for a serious workout, this could well be the bike for you. However, you shouldn’t expect the bike to come with a lot of flashy features as some bikes do, as that’s not what it’s made for. If you’re serious about indoor cycling, and you want to up your game then this could be a great purchase. The BodyCraft SPX Club Indoor Cycling Bike is a rather impressive looking piece of equipment that will no doubt make you want to use it. German-made and with a high quality saddle, this beast of an exercise bike can hold up to 300 pounds in weight. Sold on amazon.com, you get what you pay for. The heavy duty frame ensures that this incredible bike lasts as long as you would expect, and the V-ribbed automotive belt makes it run as smoothly as possible. Customers have state that they are very impressed with the BodyCraft SPX Club Indoor Cycling Bike. It handles well, and seems to be worth the high price. Although the bike does not come with a speedometer, and it won’t show you how many calories you’ve burned, it is still worth a purchase if you’re serious about cycling. 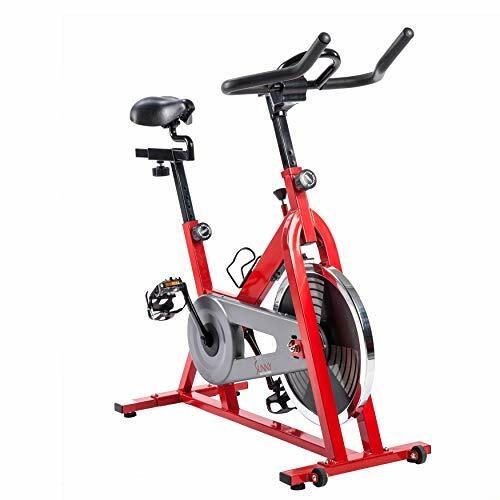 The Sunny SF-B1001 Indoor Cycling Bike is a good looking bike that comes available in 2 colors. With a 30 pound flywheel, and fully adjustable handlebars and seat, this bike is perhaps one of the better ones in the mid to low price range. The bike has a quiet drive mechanism, and is suitable for anyone weighing up to 220 pounds. This bike has had a mixed bag of reviews from customers, but for the most part they seem to be happy. Ideal for those who are less than 5 foot 4 inches tall, it’s also suitable for anyone who is over 5 foot 8 inches too. The level of resistance is not as hard as some would have imagined, but it is very easy to assemble, and seems to be quite tough. The Sunny SF-B1001 Indoor Cycling Bike isn’t a bad exercise bike, but it isn’t the best. I would say this is a middle of the range bike that is ideal if you have a little indoor cycling experience, and you’re not looking for a bike that will give you a tough workout. 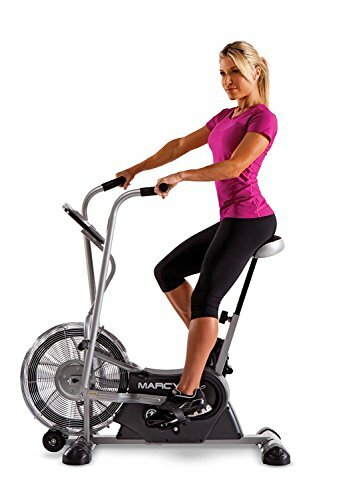 The Marcy Exercise Fan Bike is a little different from many other exercise bikes out there as it comes with a built in fan. This feature is used to keep you cool as you exercise, and that’s never a bad thing. The foam covered handles are comfortable to use, and the exercise arms give you the opportunity to exercise your arms too. Sold on amazon.com, this exercise bike is not a bad one to own. Customers have stated that they are happy with this particular bike as it’s pretty easy to use. Initially a little noisy, and occasionally hard to assemble, it may not always live up to some people’s expectations. However, when it comes to the crunch, this particular model looks good, performs reasonably well, and is good for the price. Ideal for those ranging from 5 foot 2 to 5 foot 11 plus. The Marcy Exercise Fan Bike is quite a good bike, especially if you’re looking to stay as cool as you can while you work out. The price is not bad for the quality of the build, and although it can be hard to assemble, it’s still a reasonable bike for what you’re about to pay for it. The Velocity Exercise Magnetic Upright Exercise Bike is a good piece of equipment that many people would be pleased to own. The 8 tension control levels ensure that you can build up your regime as you work out, and the pedals have been designed to ensure pedaling is comfortable. 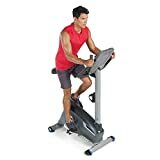 Found on amazon.com, this nice looking exercise bike comes with and LCD console, so you can monitor your progress with ease. The Velocity Exercise Magnetic Upright Exercise Bike is a good quality bike. 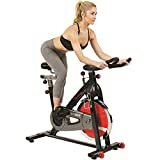 Anyone who is just starting to cycle for fitness will find that it’s ideal at giving you the basics that you need: Computer console, easy to assemble, and different levels of tension. If you’re looking to get a really good and thorough workout, you should think about buying another bike, as this is more suited to beginners. The Sole Fitness SB700 Exercise Bike is a nice looking bike that comes with some pleasing features. The backlit LCD console lets you track your progress, and the chest strap allows you to monitor your heart rate. The bike itself comes with adjustable resistance, and a fly wheel. Sold on amazon.com, this bike is definitely one of the more expensive. Most customers seem to be very happy with this product, although there are a few who state that the flywheel is hard to get straight, and the dial that increases the difficulty is a little too sensitive. Aside from the negative view, many people state this bike is worth every penny, and it provides the user with a stable and quiet ride. The Sole Fitness SB700 Exercise Bike is a good bike if you’re looking for an intense workout, and you’re willing to pay quite a bit of cash for one. Although the bike looks good, it doesn’t seem to perform as well as you’d expect for the cost. The Nautilus U614 Upright Bike is a reasonably priced bike that comes with a USB port, LCD display so you can track your progress, and 20 levels of resistance. Sold on amazon.com, this bike also comes with speakers so you can hook up your MP3 player, and the flywheel ensures you get a smooth ride. This exercise bike is a good quality mid to high price range bike. Customers report that it’s very sturdy and can help you to get a great workout. Ideal for use in smaller spaces because of its size, this product also comes with a fan that will help to keep you cool. There have been some reports of an uncomfortable seat, and the pedals are quite narrow. However, this bike seems to be quite good overall. The Nautilus U614 Upright Bike is not a bad bike at all, but it seems to have the same features and functions as many lower priced exercise bikes. 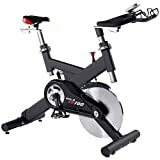 However, if you love your music and you especially enjoy listening to it when you’re exercising, then this bike is sure to be the best buy for you. If you’re looking to improve your fitness levels over time, then you need to look for a bike that has a lot of levels of resistance. Some bikes even come with specifically built in programs to help you progress. Most exercise bikes come with some sort of odometer, that show you how far you’ve pedaled, how fast you’re going, and how many calories you’ve burned. If this is of interest to you, then you’ll be pleased to know this feature is readily available. One word of caution however, not every exercise bike has this function, so make sure that it does if you tend to spend a lot of money on it. The weight limit for an exercise bike often depends on the way that it was made. If the bike is made from extra tough materials, then chances are it will bare more weight. If you are too heavy for the bike, using it could cause damage, and you may not get your money back. The cost of the bike is ultimately the indicator as to what type of exercise bike you will end up with. The more money you’re willing to spend, the more likely that it is you’ll end up with a good one. However, you can come across cheaper bikes that are just as good as higher priced ones. Be sure to do your research and find out how good the bikes are, before you part with your cash. Once you have considered all of these options, you can be sure that buying the right bike won’t be so hard after all. Let's take a look at 10 of the very best upright exercise bikes on the market.